Working along-side staff at the school, we collaborated in the development of a broad collection of premium commemorative gifts that reflected the historical and cultural background of the school. Merchandise included bone china mugs, pin badges, scarves, silk ties and keyrings. 2015 marked the 400th anniversary of the foundation of The Perse School in Cambridge founded by Dr Stephen Perse MD in 1615. Perse was a Fellow of Gonville and Caius College Cambridge and this respected preparatory school still holds strong academic connections with the University today. ‘The 400th year will be a special time for reflecting on our past, appreciating our present and looking to our future.’ A variety of activities were planned including events, special projects and lectures. Working alongside staff at the school, we collaborated in the development of a broad collection of premium commemorative gifts that reflected the historical and cultural background of the school. Merchandise included bone china mugs, pin badges, scarves, silk ties and keyrings. 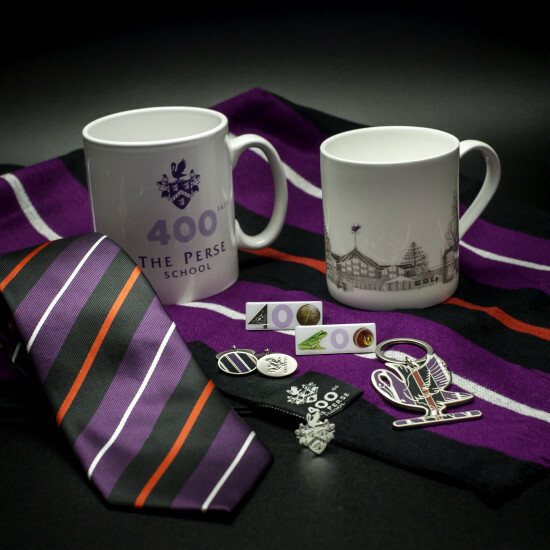 Items of memorabilia to mark the 400th anniversary are now on sales in the school. Many feature the special anniversary stripe, which includes scarlet, one of the Schools original colours. Others use a print of a contemporary tapestry. 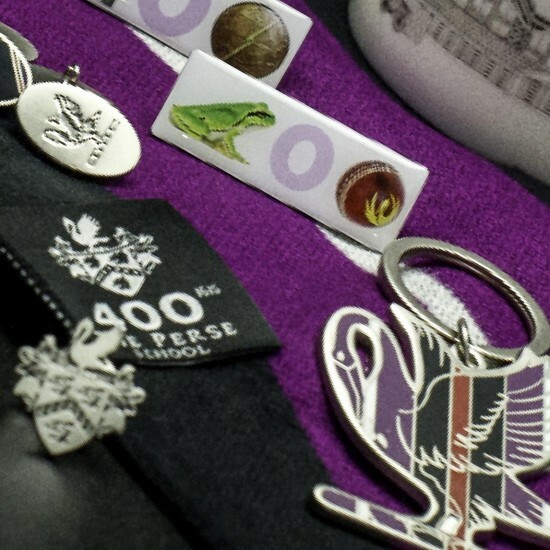 Three of the items can be worn by pupils as part of the school uniform: the pin bade, the anniversary polyester tie and the anniversary scarf. Profits from sales of the memorabilia were used to fund the celebrations, including the anniversary week activities for pupils, the development and production of Around the Perse in 400 Years (the creation and performance of a piece of music based on pupils’ creative ideas) and a community lecture series. A light-hearted element of the celebrations has been the creation of the “Tessera”. 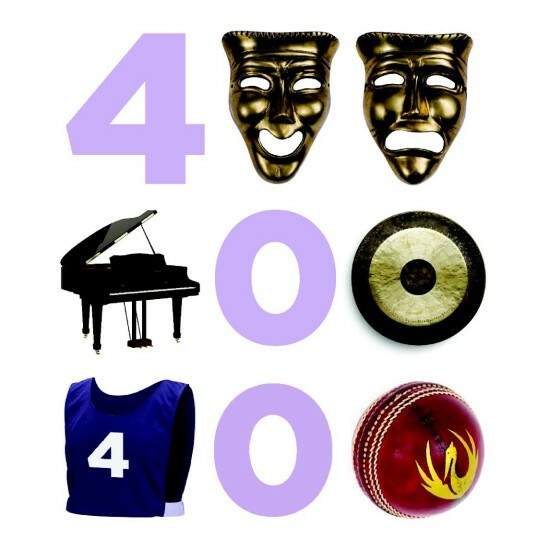 This logo features the number 400 in a witty and creative interpretation where objects connected to a Perse School education stand in for a “4” or a “0”. We produced brightly coloured pin badge designs featuring three “Tessara”. The pelican has featured on the Perse School logo since the beginning and is the name of the pre-school nursery. We took the device and created keyrings, cufflinks and pin badges featuring the bird.